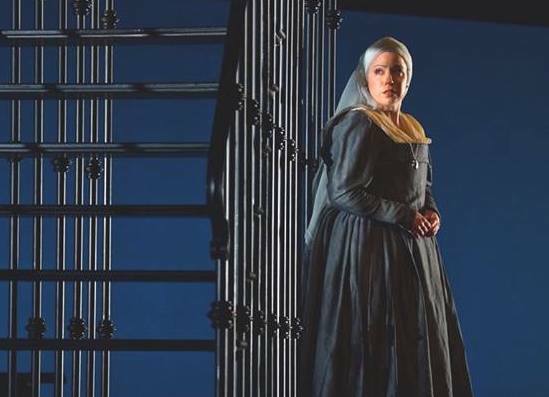 American Mezzo Soprano Renée Rapier brings her “dark, velvety mezzo and smoothly controlled, unfailingly eloquent phrasing to match” (Opera News) as well as a “razor-sharp focus” (Bay Area Reporter) to the operatic stage. This summer Ms. Rapier will be featured in a number of recitals and concerts at the Newport Music Festival including a performance with renowned Mezzo Soprano Federica won Stade and composer Jake Heggie. She also makes her Wagnerian debut as Grimgerde in San Francisco Opera’s visionary Ring Cycle, and makes her role debut as Donna Elvira in Don Giovanni with Opera Steamboat. Her 2018/2019 season includes a new production of John Cage’s Europeras 1&2 with the LA Phil in collaboration with The Industry and MacArthur ‘Genius’ Grant winner Yuval Sharon, appearances with Peninsula Symphony and Mise-en-scene Studios, as well as a return to Opera San Jose to sing Suzuki in Puccini’s Madama Butterfly. Ms. Rapier was recently a soloist with the San Francisco Symphony in Beethoven’s 9th Symphony, Suzuki in Madame Butterfly at both Opera Theatre of St. Louis and Seattle Opera, Mercédès in Calixto Bieito’s provocative production of Carmen at San Francisco Opera, and a critically-acclaimed debut as Rosina in Il Barbiere di Siviglia with Opera San Jose. Other notable engagements include a return to LA Opera singing Cherubino in both Le Nozze di Figaro and John Corigliano’s The Ghosts of Versailles, the latter of which producing a two-time Grammy winning recording, a debut at Chicago’s Ravinia Festival as both the Page in Salome and Cherubino in Le Nozze di Figaro, her international debut as Olga in Eugene Onegin with the Seoul Philharmonic, Cornelia in Giulio Cesare with Wolf Trap Opera, and a debut with Opera San Antonio as Mrs. Fox in Tobias Picker’s Fantastic Mr. Fox. After receiving degrees in both voice and viola from the University of Northern Iowa, Ms. Rapier participated in several prominent training programs including Chautauqua Opera and the Merola Opera Program. 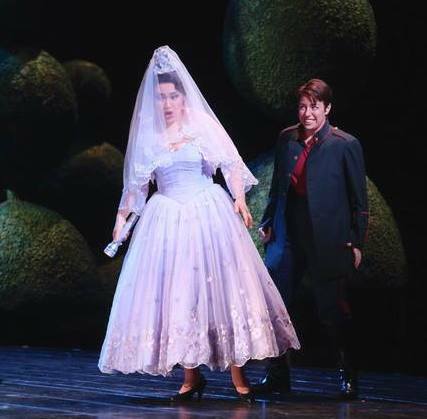 In 2011, she was chosen to join LA Opera’s Domingo-Thornton Young Artist Program where she made her professional debut as Stephano in Roméo et Julietteunder the baton of Plácido Domingo. Soon after, she joined the prestigious Adler Fellowship at the San Francisco Opera where she covered and sang a number of roles including Giovanna in Rigoletto and Meg Page in Falstaff. Renée has received recognition from several notable competitions including the Metropolitan Opera National Council Auditions (national semi-finalist), Palm Springs Opera Guild Competition (first place), the Seoul International Music Competition (finalist), Plácido Domingo’s Operalia (semi-finalist) and the Brava! Opera Theater and James M. Collier Young Artist Program Vocal Competition (first place). THE RADIANT MEZZO RENÉE RAPIER IMMEDIATELY ENGAGED OUR EARS WITH A PLUSH, RIPE TONAL BEAUTY THAT ANNOUNCED HER AS A MAJOR DISCOVERY. Her voice is a deep and smoky mezzo-soprano, though she displays a wide tonal dexterity. a dark, velvety mezzo and smoothly controlled, unfailingly eloquent phrasing to match. The radiant mezzo Renée Rapier immediately engaged our ears with a plush, ripe tonal beauty that announced her as a major discovery. In short order, she also captured our hearts with an especially assured Una voce poco fa. Her fresh, spontaneous reading of this thrice-familiar piece immediately established her credentials as a first tier Rosina. Ms. Rapier’s rich lower register was wedded to a solid middle and brilliant top, giving off coloratura sparks as demanded, and coy romantic heat when appropriate. At the end of what had to be one of the longest, most confusing weeks for many in the Bay Area and around the country, it was not one brilliant woman, but two, who lifted our spirits, brought order to things and with their various talents, inspired us to hope. 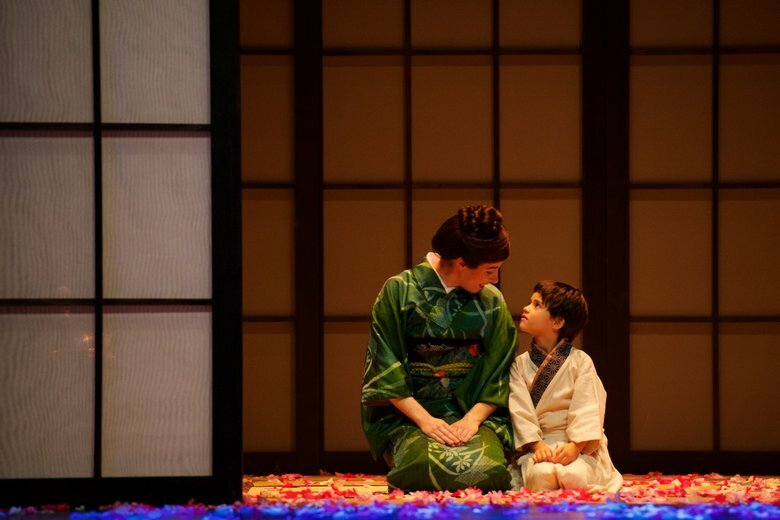 With the strength of Layna Chianakas’ direction and the resplendent singing and acting of mezzo-soprano Renée Rapier, we were astounded by the quality of this production. Make no mistake: the men in this cast were brilliant, too. But at the end of the day, it is Rapier that people should listen to. 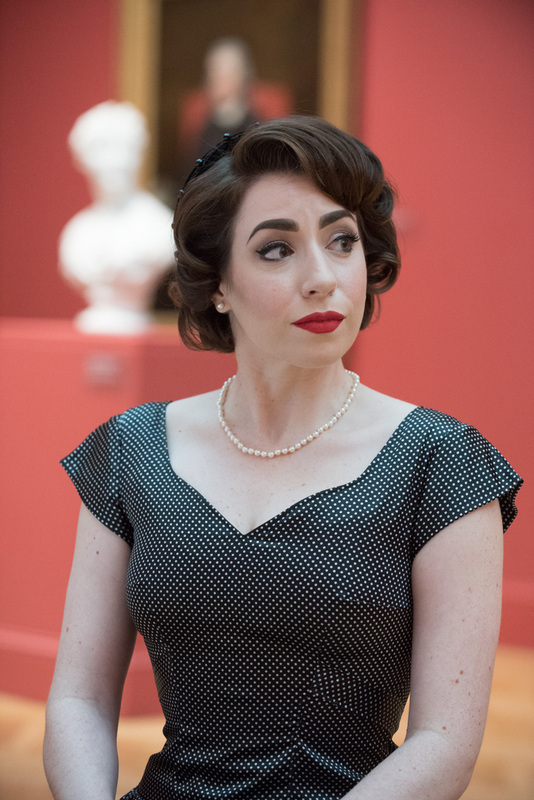 The mezzo has appeared with the San Francisco and Los Angeles opera companies, but as one knowledgeable audience member remarked, “She could sing this role on any stage in the world”. 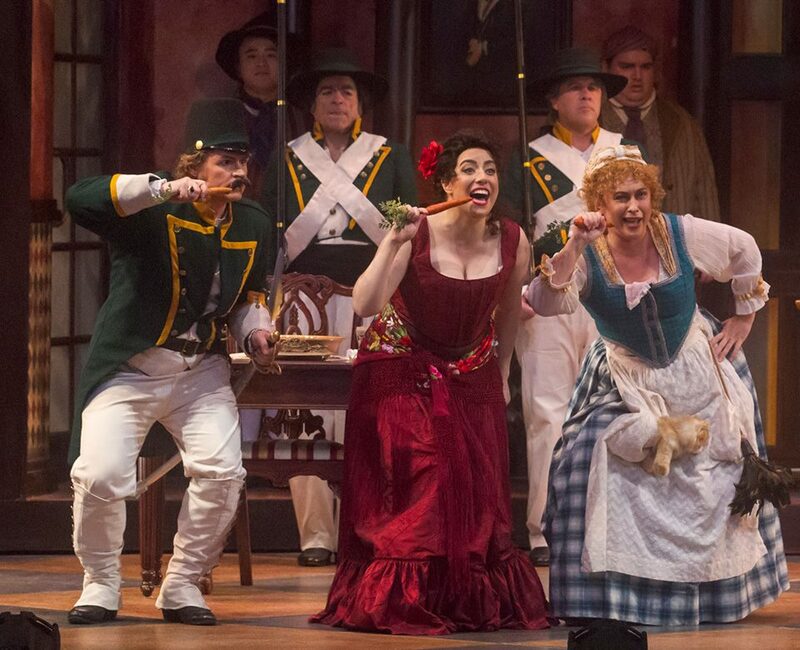 Iowa mezzo-soprano Renée Rapier, an alumna of the Los Angeles Opera’s Domingo-Colburn-Stein Young Artist’s program, proved an endearing and funny Cherubino, who sings (beautifully) two of Mozart’s most famous arias and gets abundant laughs as Tagliavini’s Figaro sings Non piu andrai, the number one aria on the Mozart hit parade. Her lovely, lyrical voice is complemented by an infectious charm and charisma.